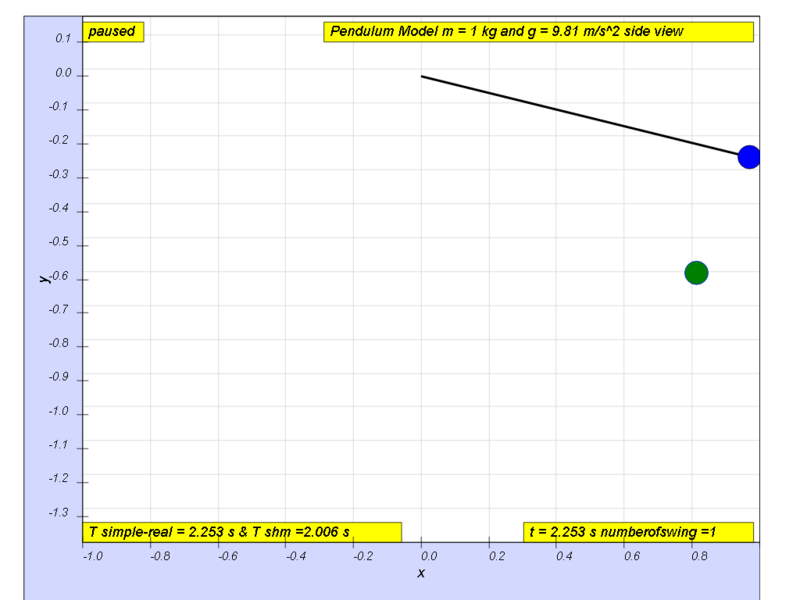 1.5.1.Q1: what is the maximum angle of release before the motion is not accurately described as a simple harmonic motion for the case of a simple free pendulum? angle θ ≈ 10 degrees for e r r or = ( 2.010 - 2.006 ) 2.010 ( 100 ) = 0.2 % , depending on what is the error acceptable, small angle is typically about less than 10 degree of swing from the vertical. 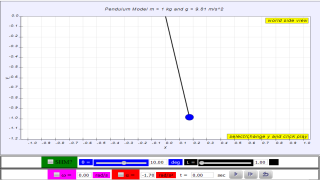 Motion approximates simple harmonic motion when the angle of oscillation is small < 10 degrees..
Motion approximates SHM when the spring does not exceed limit of proportionality during oscillations. http://youtu.be/BRbCW2MsL94?t=2m16s This video shows many pendulums that goes in phase and out of phase with each other pendulum to creating a visually stunning effect.